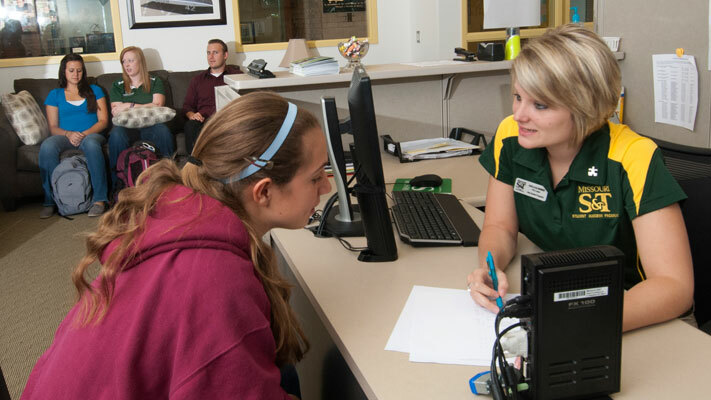 Housed in Room 198 Toomey Hall, the Student Success Center (SSC) is a place where students can get inside information on where to find the resources and tools that will help them make the most of their time at S&T. 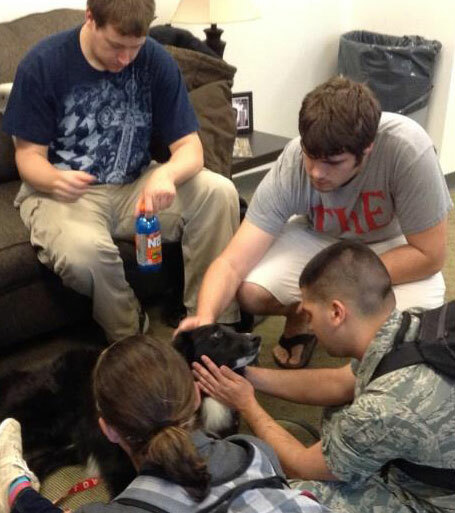 A therapy dog enjoys some attention from students the week before finals. Students are invited to stop by the SSC to relax between classes, get a free cup of coffee, surf the Internet or borrow a whiteboard as a study tool. They can also participate in programs and activities covering topics like how to overcome procrastination, complete the FAFSA (Free Application for Federal Student Aid), change majors or register for classes online. The center collaborates with departments throughout campus to offer a variety of learning opportunities. “We’re adding more programs as we grow,” says Stone. Students needing academic help are initially referred to LEAD (Learning Enhancement Across Disciplines). After they’ve attended a LEAD session, they can return to the Student Success Center for help finding a tutor. Tutors are always needed; interested students are encouraged to call the center at 573-341-7596 or email success@mst.edu. 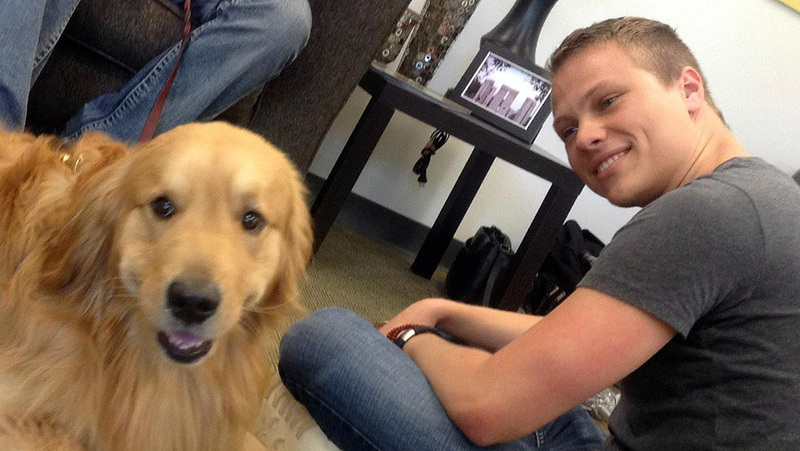 Another friendly canine visits the center. The Student Success Center is open from 8:30 a.m. to 5 p.m. Monday through Friday. Its website (studentsuccess.mst.edu/) features specific pages geared to freshmen, sophomores, juniors and seniors; and information about success tools, programs and academic support. SSC staff members are available through live chat on Facebook, through text messaging (573-458-9BAM), success@mst.edu, phone (573-341-7590 or 573-341-7596) or in person at the center in Room 198 Toomey Hall.